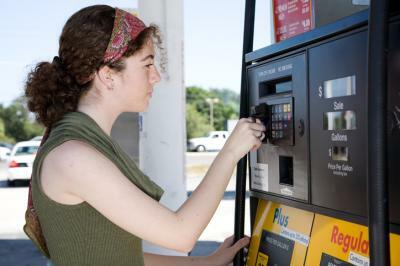 Credit card skimmers are becoming more tech savvy but also more lazy. They are using Bluetooth technology to effortlessly capture lists of credit card numbers as they are often swiped at gas stations and outside ATMs, but more often than not, they are also using the default device name and passcode. This makes the skimming device easy to identify - with a new app. Of course, the smart skimmers will soon rename the device and choose a new passcode. The skimmer risk game is always changing. Similarly, the credit risk management landscape is ever-changing. It would be tempting to get swept up in the strong run toward profitability and lose sight of the changing environment. Indeed, according to the FDIC, community banks in Q2 2017 reported a net income of $5.6B - up 8.5% from 1Y earlier. First of all, ask yourself if your data is flawlessly pure, consistent and accurate. Certainly few banks think this in context of the totality of bank data, but let's examine this a bit more. Is the data even in your own department or is the data used when underwriting a loan pure and clean? Given so many sources of lending streams out there available to customers in both the online and offline worlds, it is likely no matter how carefully your teams are in collecting data to support lending decisions, that some of it is probably incorrect or even invalid. As if that weren't enough to deal with, consider that the new expectations from Current Expected Credit Loss standard (CECL) alone bring to bear greater requirements for data integrity. That is because it requires bankers to rely increasingly on analytics. Further, those analytics will only be as good as the data analyzed. Knowing this, you will want to ensure that your IT department is aware of the requirements under CECL too. Having a plan now will help ensure you have consistent, reliable data warehouses so your risk teams can leverage that data. Another thing to think about is around CRE lending. Here, consider the best way to ensure your data is of high enough quality so the resulting analysis is just as good. Regulators are cracking down on such concentrations, so bankers should be confident in the results of testing in this area. Yet another area to monitor is around underwriting standards. The OCC recently highlighted concerns that bankers are loosening standards to capture and retain customers and have been doing so for the past few years. No matter your bank's own situation or regulator, you can expect to see more scrutiny here given it is now on regulatory radar screens, so be prepared. Community banks should also be carefully considering which high-growth loan products could exacerbate relaxed underwriting, and which ones do not. Doing analyses now gives your team actionable information that could help you better identify and manage any risks around more volatile industries. Finally, it's important not to take for granted the "human" factor. Staffing has become an increasing concern as it relates to credit risk. Many community banks have been forced to cut or limit training programs for new employees, hiring in many markets is difficult and demographic changes are also taking a toll on experience levels around the industry. The other side of the coin of course is that less experienced team members can unintentionally lead to taking unnecessary risks. For banks facing budget constraints, look to enhance training and mentoring programs, allow retiring lenders to work part time perhaps and focus on managing risk as your team transitions over time. In the meantime, keep monitoring your credit and other risks as you continue to support your community. Yields zipped up 2bp as investors learned of hawkish former Fed Governor Warsh's meeting with President Trump, indicating he may be a top contender in the search for Fed Chair Yellen's replacement. JPMorgan economists say they don't think the odds for a US recession are supported by the fundamentals so are not very large in the near term. They point out recessions usually occur when labor productivity is weakening (getting stronger), there is downward pressure on corporate margins (rising), central banks are tightening (still easy and only slowly being normalized) and there are financial sector imbalances. President Trump has elevated the US Cyber Command to a defense unit focused on cyber operations, with plans to split it away from the NSA. A startup bank in CA is trying to raise $150mm to form a new company called Nano Financial Holdings. They claim Nano will be a "positive disruptor" in the banking industry similar to Uber, Apple and Tesla in their respective industries. Chicago Fed President Evans said the Fed should wait to see data that points to higher inflation before tightening monetary policy further. Meanwhile, New York Fed President Dudley said he expects inflation to rise and stabilize, so the Fed should continue to gradually remove expansionary monetary policy. Finally, Fed San Francisco President Williams said he is not surprised inflation has been below 2% and he expects it to rise in the coming months. As such, look for the odds to tip toward another rate hike before year's end.